*This post contains affiliated links!! 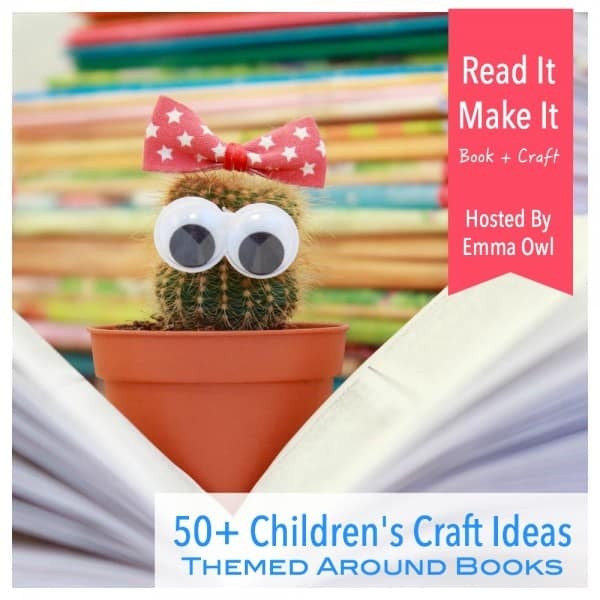 Today I’m thrilled to be participating in Read It-Make It Book Week hosted by Emma Owl. I’ve seen recommendation to read the book Full House numerous times, and finally snagged a copy this week. I was not disappointed. This book is just delightful with it short rhyming sentences and colorful pages. Of course, I loved the great introduction to fractions it provides. This sweet little lady has a house with six rooms. The book begins with all rooms being empty. They slowly fill up with interesting characters, and as each person fills an empty room a fraction is shown to represent the number of rooms filled. At the end all the guest sneak out of their room to enjoy a forgotten cake. We enjoyed some great talk about predicting and a little about authors purpose. We went back to the place where the author shows the cake is sitting forgotten in the clean kitchen. (Not totally sure how you could forget such a yummy looking cake!!!! It wouldn’t have been forgotten in my house.) Anyway, I asked my boys why the author would have put this in the book, and they began to understand where the guests were headed. The final page shows a fraction once more… this time with the cake. Once we finished reading it was time for a fun craft. To begin, I handed out the three printables. I asked my boys to find the rectangular prism, rectangles, pentagons, and the trapezoid. After that quick review, I had them cut out everything except the small rectangles. I cut out the pieces for the twins, and then we began to glue. The rectangle goes on first with the trapezoid being the roof. N put his on crooked (which I liked the look) while C’s went on straight. Next we glued the rectangular prisms on the side of the large rectangle. Now it was time for the pentagons. They go on top of the trapezoid. I liked them hanging off the top, but I let my kiddos glue them on however they wanted. I couldn’t do a craft without squeezing in a little math. I told them they could decide how many rooms their house was going to have. C decided to stick with the book and do six rooms, while N choose a different number. The glued on their windows, and then I told them they got to decide how many of their rooms were filled up. Once they decided, they colored in that amount of windows yellow. Now we got to do math!!! The boys figured out what fraction of their rooms were filled, and they wrote that fraction on the back. Then I let them decorate. The big boys ended up just coloring it in, while the twins went to town with their do a dot markers. You can make this part as simple or as messy as you want. You could just provide crayons and markers or you could throw out glitter, paint, pom poms, and other craft supplies and see what your little ones create. Everyone was thrilled with their craft and was excited to show them off. Well all except Little B, my twin girl who had lost interest and moved onto another activity. Also check out this simple fraction game to play after your craft time, or the cut and paste assessment. They both will help your little ones recognize fractions.